Welcome to Friendship Force of the National Capital Area. 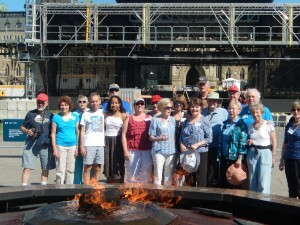 We are affiliated with Friendship Force International. We welcome members throughout this area and schedule events with the dispersed nature of our membership in mind. Please read more about Friendship Force and if you find that this concept is of interest, we hope you will get in touch. What is Friendship Force? – Animated Video (English) from Friendship Force International on Vimeo. 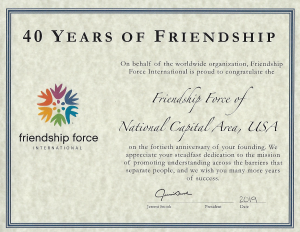 Friendship Force of the National Capital Area was founded in 1979!